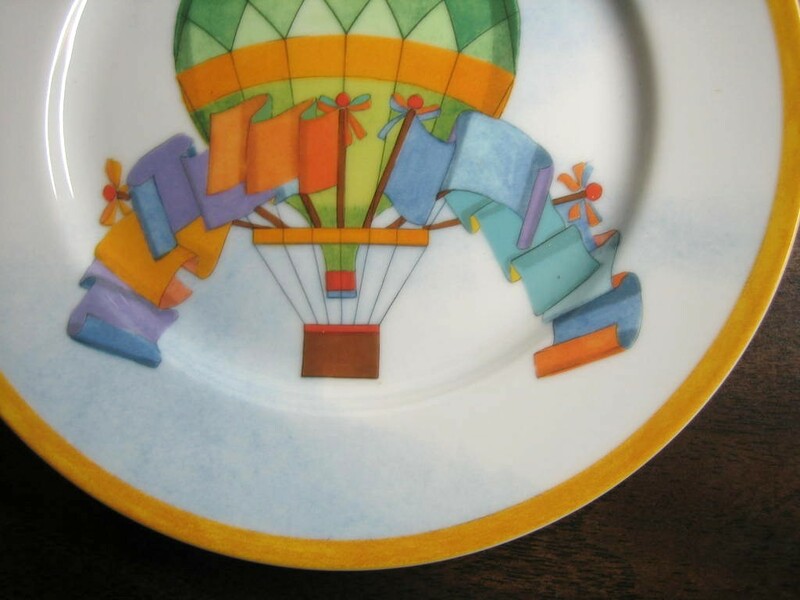 Click the button below to add the Whimsical Green Hot Air Balloon Flags Sky Gold Edge Plate Japan to your wish list. 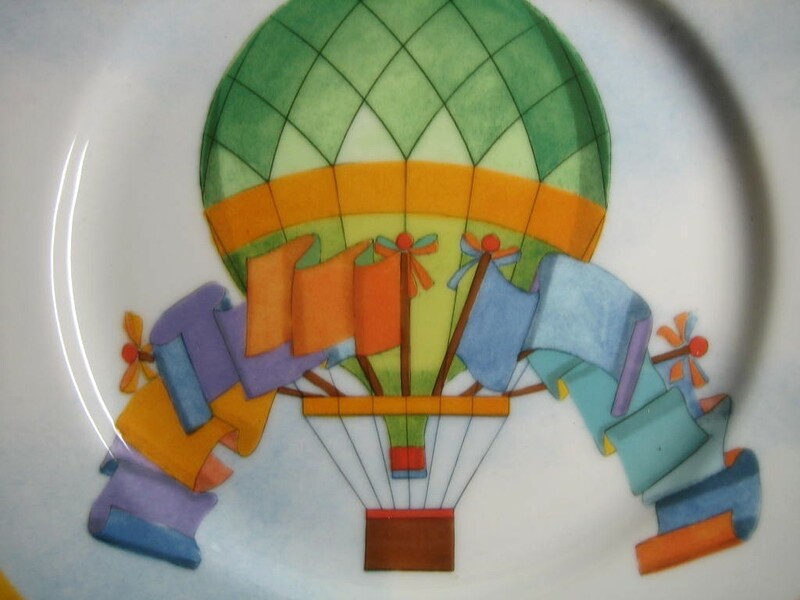 Whimsical blue and green hot air balloon plate designed for Williams Sonoma. Decorative plate designed for Williams Sonoma. Fun air balloon with brightly colored flags and bows. Fine porcelain Made in Japan.